Later today, WheresChappell will be releasing his fifth Marvel Comics resin figure as part of his ongoing line of pop culture inspired resin figures featuring some of your favorite characters from movies, television and comic books rocking classic sneakers. For this release, WheresChappell draws inspiration from FOX’s upcoming Marvel film, Deadpool 2, and Josh Brolin’s portrayal of the mysterious mutant known as Cable! 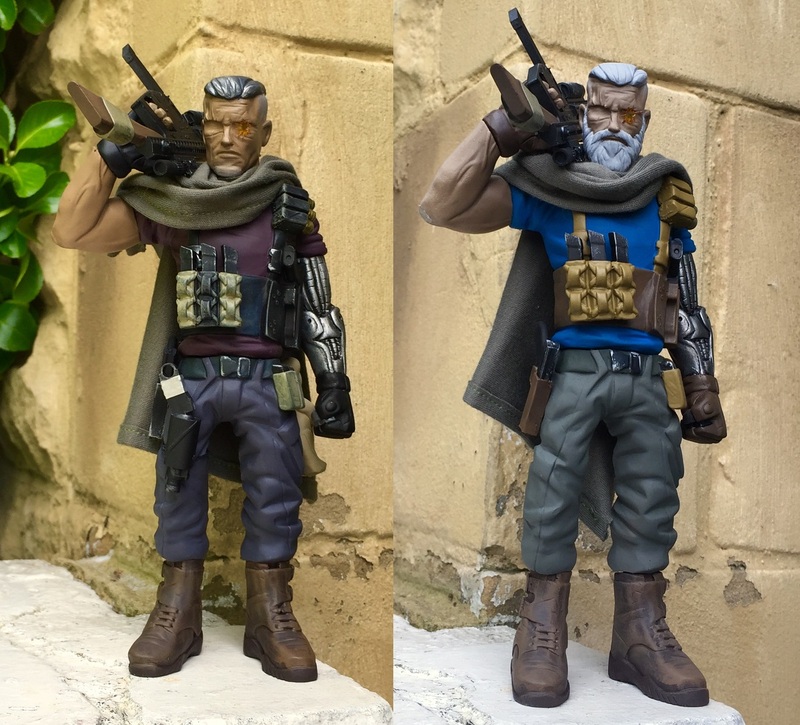 The leader of X-Force will be available in two different colorways: Movie Cable and Old Man Edition. What’s really cool is both versions will be available in up to 6 different t-shirt color options. The X-Men Cable Resin Figure by WheresChappell is handmade, stands 21.5cm tall, and features dyed resin with some hand painted parts, a real cloth poncho and 3D printed gun and belt accessories. 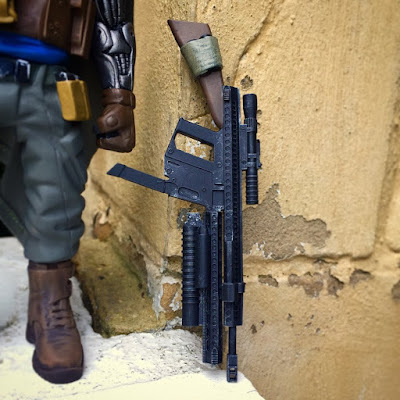 Both Cable colorways will be limited to 60 pieces in total, with the run sizes set based on the orders placed by collectors. This Deadpool 2 Cable resin figure will go up for pre-sale at 8pm UK time today, Sunday, October 29th, at the Cracked Hatchet online store for £89.99.